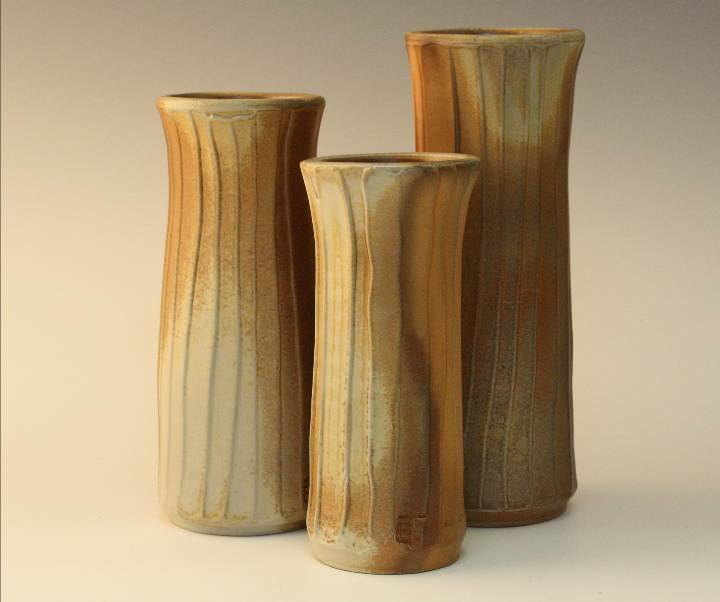 My functional and decorative stoneware and porcelain forms are influenced by southwestern Native American and Japanese folk pottery traditions. 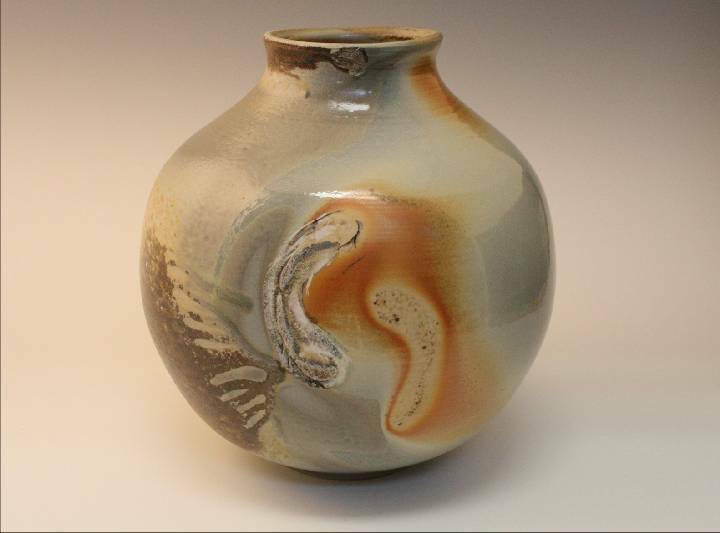 I am captivated by the unique surfaces and earthy colors arising from the wood-fire and salt-glaze processes. To produce the wood-fire pieces I combine strong forms and quiet surfaces enriched by the atmosphere in the anagama kiln. I strive to create pieces with a subtle serene beauty. 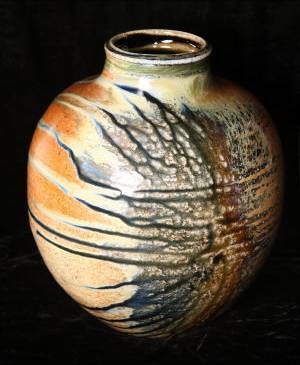 My salt glazed pottery use the salt added during the firing to melt, mix and blend the layers of slip, oxides and wood ash to create bold, flowing surfaces.